SunEdison stock is up 29.3 percent today on news of its $2.4 billion wind power acquisition. 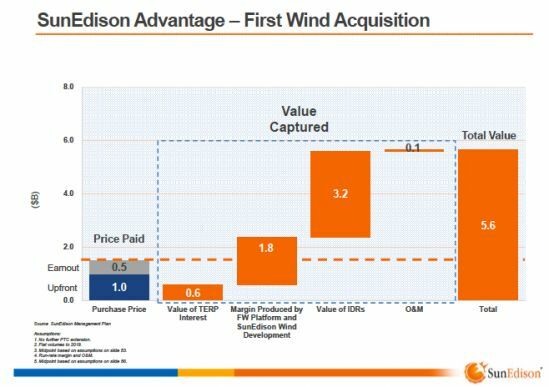 SunEdison CEO Ahmad Chatila was excited to speak about the growth potential of First Wind, SunEdison's $2.4 billion wind developer acquisition, during today's analyst call. Stock markets like excitement and growth potential -- and to that end, SunEdison stock was up 29.3 percent on the big news today. Here are five slides out of the thousands shown this morning that tell a good part of the story. "We think 2017 will be a lot larger than 2016." Here's the growth story: "The ITC issue in the U.S.? We're going to plow through it," said the CEO, adding, "We're going to continue to increase our volumes. We think 2017 will be a lot larger than 2016." He continued, "We took advantage of this deal to punch above our weight in a big way." 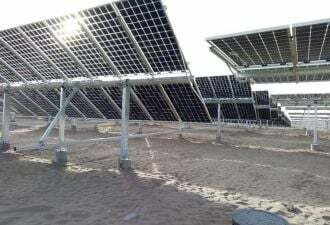 Chatila said that solar was forecast to grow at a 17 percent CAGR from 2013 to 2020, but he added, "We think this forecast is conservative." 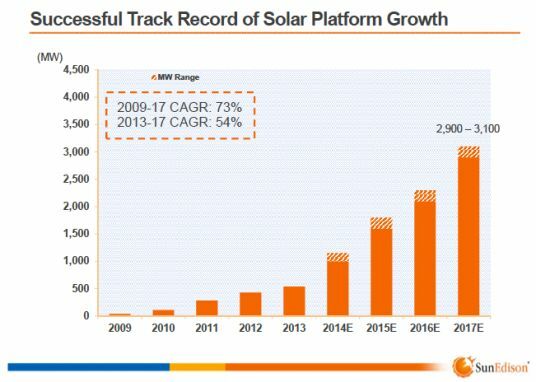 Chatila foresees strong growth in China, India, Latin America, and even Europe, and he forecasts 3 gigawatts of solar in 2017 for SunEdison. 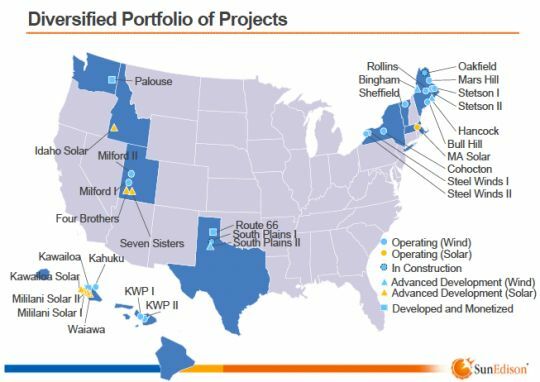 First Wind CEO Paul Gaynor said that what SunEdison and its YieldCo bought were "high-quality assets," meaning the projects are located in areas with high electricity prices and states needing to meet RPS requirements. He said the firm has "a mindset of long-term ownership. [...] We develop projects to own them, and that's the mindset we're going to take forward." He suggested that the "marriage" of SunEdison's international in-country development and policy expertise with First Wind's domain knowledge could create an international platform "that can really set this company on fire." 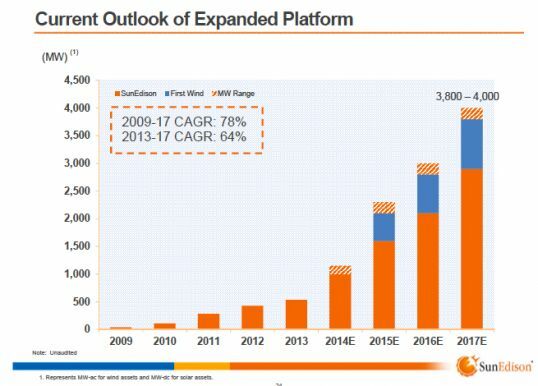 SunEdison's CEO said that 2017 expectations at SunEdison are for a combined 3.9 gigawatts of solar plus wind. He noted that the forecast does not hinge on a PTC extension, although most of its projects are PTC-eligible. The CEO said that SunEdison and its YieldCo, TerraForm, are able to look at deals in a vertically integrated fashion, adding, "The way we are designed, we are able to unlock value." He said, "Flipping projects is not the way to create shareholder value." 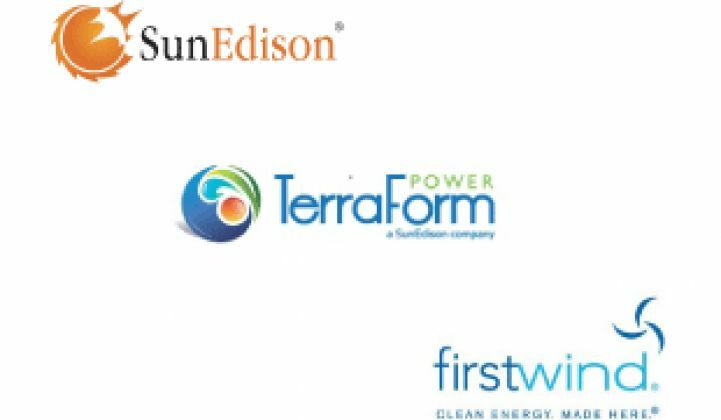 Carlos Domenech, CEO of TerraForm Power, noted that the CAGR of the TerraForm YieldCo is 24 percent compared to the standalone CAGR of 18 percent before the acquisition. Here's how Brian Wuebbels, CFO of SunEdison, frames the transaction: "The total value we see in this transaction is north of $5 billion. We paid $1.5 billion for this transaction, $1 billion is upfront, $500 million of it is in an earn-out that will only be delivered when we execute on the backlog over the next two years. [...] That's the $600 million of value upfront by doing this transaction. The $1.8 billion is the building-out of the projects that are in the backlog and pipeline, as well as the qualified leads on a yield-adjusted basis. [...] The incremental [value] that this deal provides, on a DCF basis, is $3.2 billion in our IDRs and then of course we have the O&M stream that we'll get -- it's small, but it's going to be ever-growing and create a very valuable cash flow stream for the company." 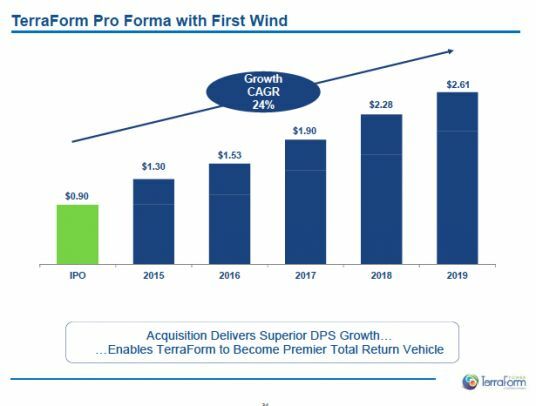 The CFO said, "We think the addition of First Wind accelerates the growth potential of this company."